Our state-of-the-art analytical technology with high resolution and automated sample handling systems allows to measure minute amounts of drugs and natural molecules in a variety of biological samples in timely and cost efficient manner. 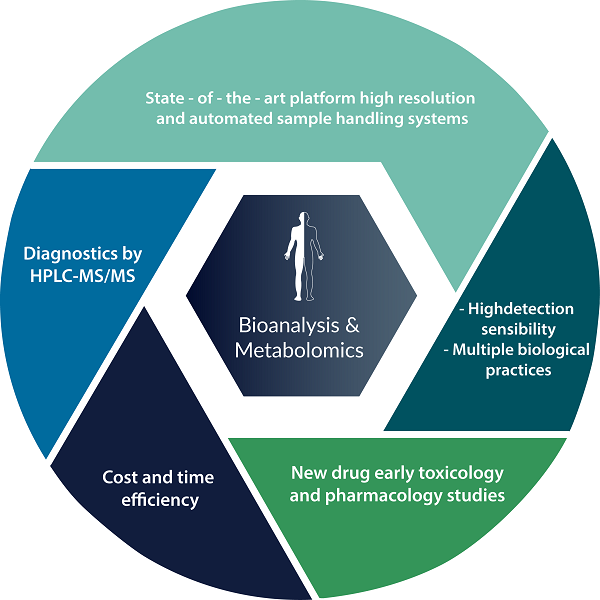 We offer our services in bioanalytics and metabolomics to clinical research groups that wish to monitor experimental and existing drugs in patient samples as well as to identify and follow biomarkers in different stages of the pathology. We contribute to clinical and translational research in developing detailed early toxicological and pharmacological studies of new drugs as well as identifying changes in the complex patterns of the basic metabolism of patients.